As Many As 2,100 People Have Lost Media Jobs in the Past Two WeeksVice and McClatchy are the latest companies to do mass layoffs. Absolutely Beautiful: Former ClickHole Contributors Reveal ThemselvesA rare peek behind the ClickHole curtain. Sony Crackle Lays Off Employees Amid RestructuringThe cuts come as part of a larger restructuring at Sony. Getting Laid Off Taught Me How to Cope With BreakupsThe two grieving processes look a lot alike. Adam Sachs Out As Editor of SaveurThe magazine suffered layoffs. The Anxiety of Waiting to Be Laid Off’Tis the season. Blue Apron Laid Off Hundreds of Workers YesterdayThe CEO called it a “painful” companywide “realignment” in a letter to employees. SoundCloud Plans to Forge Ahead Independently, Lays Off Near Half of Its StaffSoundCloud just slashed 40 percent of its staff to avoid being bought by a major streaming company. ESPN Axes Around 100 Employees, On-air Talent IncludedThe worldwide leader is cutting jobs as it loses subscribers and pays more for broadcasting rights. More Layoffs Hit J.Crew TodayThey’ll save $30 million annually. Twitter Planning Layoffs After Failing to Find a BuyerThe company is reportedly looking to let go of 8 percent of its workforce. 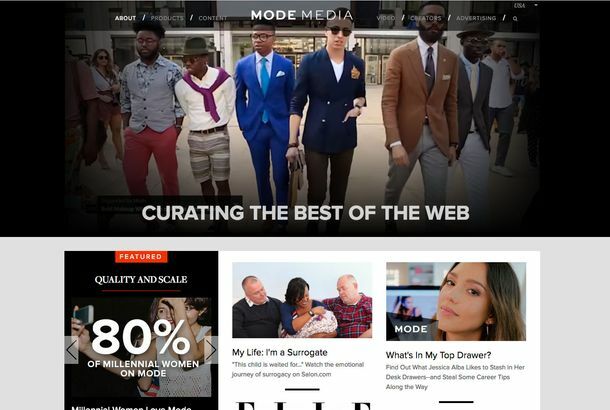 A $1 Billion Fashion Blog Shut Down and Apparently Isn’t Paying Its WritersMode Media had 144 million readers. Now it’s gone. Yahoo Searched for Ways to Cut Costs — Layoffs Were the Top ResultThat search engine you sometimes use by accident just fired a bunch of people at digital magazines you don’t read. Gawker Media Lays Off Employees As Flagship Site Shifts Focus to PoliticsThe pioneering site is reportedly abandoning its Kinja platform, along with many of its employees. GQ Is the First Victim of Condé Nast Budget CutsLayoffs hit the men’s magazine Friday, and apparently Glamour is next. CNN Cutting 300 Jobs As Turner Eliminates 10 Percent of StaffLayoffs and buyouts under president Jeff Zucker, and beyond. Turner Announces Voluntary Buyouts, Eventual LayoffsAccording to a report from CNN. Hundreds of Layoffs Hit Time Inc. at All LevelsExecutives on down are getting pink slips. Martha Stewart Reportedly Laying Off 100 EmployeesJust in time for Christmas, in case you did not notice. Bloomberg News Laying Off DozensTechnology, arts, and sports coverage is being cut down. Reed Krakoff Bought His Own Label From CoachMeanwhile, Coach laid off 200 people this week. Profitable ESPN Cites Higher Game Fees in Cutting 300-400 JobsThe network will lay some people off and leave some positions unfilled. MarketWatch Gets In on Unfortunate Media Layoff TrendSome veteran employees were let go today. Thousands of Atlantic City’s Casino Workers to Receive Layoff NoticesWe knew things were tough for the gambling resort, but not that tough. GOOD Magazine Lays Off Staff, Keeps Their LikenessAwkward. Hewlett-Packard Earnings Drop, 27,000 Layoffs ComingThe company will trim about 8 percent of its workforce over two years. New York Times Co. Cuts 50 Business-Side JobsThe layoffs spared the newsroom this time. Bank of America Planning 2,000 Jobs Cuts From Investment UnitsAn effort to balance costs and revenue. Dear Yahoos, You’re FiredThe embattled Internet company is laying off 14 percent of its workforce today. Mitt Romney Makes Layoff Joke, Hopes Humans Will LaughResults from humor scan: negative. Oprah Winfrey Network Slashes 30 Jobs in RestructuringThat’s one fifth of its staff. Acme Markets to Cut 800 More Jobs; Say Hello to South African Fried ChickenPlus: savoring every bite keeps French woman from getting fat; and people are still leery of genetically modified salmon, all in our morning news roundup. Jay-Z Will Have You Know That He Hasn’t Abandoned RocawearHe’s even starring in their new ads, so there! Emanuel Ungaro Reportedly Laying Off Even More EmployeesAnd the downward spiral continues. Reports: Layoffs at Gilt Groupe Today“Apparently people are terrified,” a source tells us. Rocawear Laid Off Half Its New York City WorkersFor “economic” reasons. Citigroup to Cut 4,500 JobsThe year’s finance total: 200,000 and rising. MF Global Lays Off 1,066 EmployeesBankruptcy is rough.